You grasp the registry scanner as if it can magically deliver all the baby gear your heart could desire. You point it at onesies, blankies, jammies, and pull the trigger with glee. You round the corner and skid to a halt. There, spread before you like a wall of confusion, is every stroller known to man. More intimidating than the bike aisle, you advance with caution, lest you accidentally pull the trigger toward the wrong one. 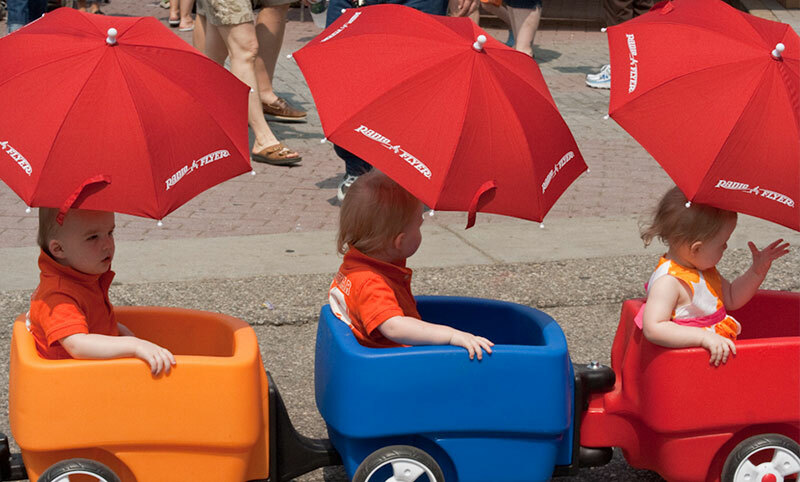 You start looking, immediately bypassing the fifteen-buck cheap-looking umbrella strollers. After all, this is going on the registry! You scrutinize jogging strollers complete with phone hookups and speakers. Double strollers that look like a full-blown locomotive for parents of multiples. Brand-name designer strollers that, despite their exorbitant price tag, look suspiciously similar to those fifteen-buck strollers. Thirty minutes later and more confused than ever, you flee the stroller section looking for refuge. You take sanctuary in the diaper aisle and your scanner resumes its cheerful chirping. After eight children, I’ve come to learn that all strollers are not created equally. I’ve used the high-end Cadillacs of strollers and the cheap strollers. I’ve used the locomotive double strollers and the side-by-side double strollers for my twins. I’ve even used a jogging stroller. And guess what? Each of them was perfect for the season I found myself. It all depends on how old your child is. A newborn’s number one stroller need is support. That’s why simple, bare-bones umbrella type strollers that seem perfect, both for the budget and for the back, aren’t suitable for newborns. A newborn stroller needs to allow baby to recline with his head supported from falling to the side. Of course, some high-end umbrella strollers offer these features. More often, though, a parent of a newborn will prefer a stroller that allows for the car-seat to simply snap into position, eliminating the need for elaborate buckling rituals with a newborn who’s figuring out sleep and wake cycles. Another thing for the first-time parent to consider is that, with a newborn, you may not realize how much your life is about to change. You may think you’ll immediately be carting your baby off to the mall and the park, but realistically, you might be surprised how much you’ll want to stay close to home those first sleep-deprived weeks. 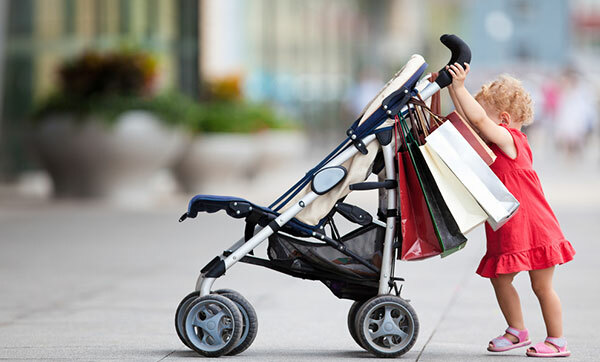 Unless you know for sure you’re going to be using a stroller with your newborn regularly, you might want to wait until your baby has a little more upper body control before shelling out beaucoups of bucks for a conveyance that won’t be often used. A 3 to 12 month old baby’s primary stroller need is safety. Once your baby can hold his head up enough to actually enjoy a stroller ride, chances are your trips out will have gotten more frequent. Once this occurs, your primary focus should be on safety. Obviously, safety will always be a concern, but at this tender age group, it’s especially vital. Does this stroller have a brake that’s easy to use for when I’m digging in my purse at the top of a hill at the park? Does this stroller allow me to see my baby when I’m walking, or is there an obstruction? Does this stroller provide shade if we’re at the amusement park or my nephew’s Little League game? Will this stroller require me to leave my child unattended in the car for long stretches while I try to remember how to fold it up and stow it in the trunk? Every parent’s situation is different, so depending on which of the above questions applies to you, you should be able to determine where you need to focus your priorities in choosing a stroller. A 1-year-old baby’s primary stroller need is security. 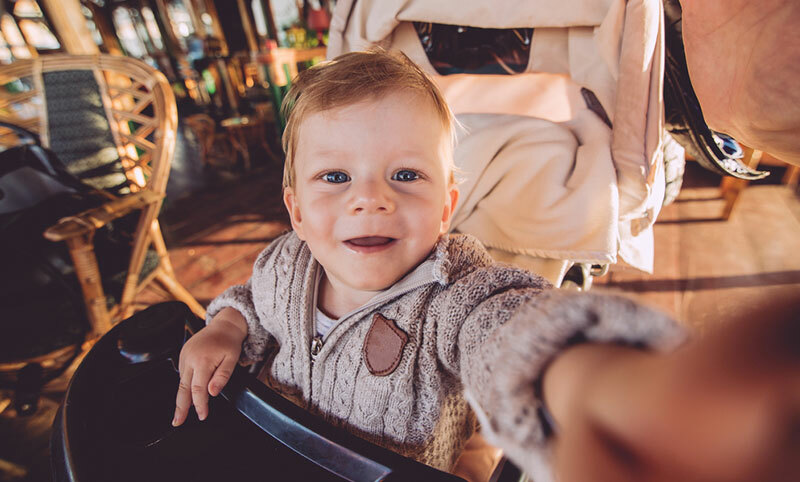 While all the above questions still apply for one-year-olds, by the time your baby becomes mobile a new factor enters into the equation: will my baby stay put in the stroller? By this age range, you’ll want to make sure your baby is securely buckled in, especially if you have a wild child who loves to practice his escape act. While home is a great place to practice going out and about and teach your child so that embarrassing store scenes don’t happen to you, when you are out and about you’ll appreciate a tough five-point harness that keeps Buddy occupied while you’re shopping. A toddler’s primary stroller need is convenience. 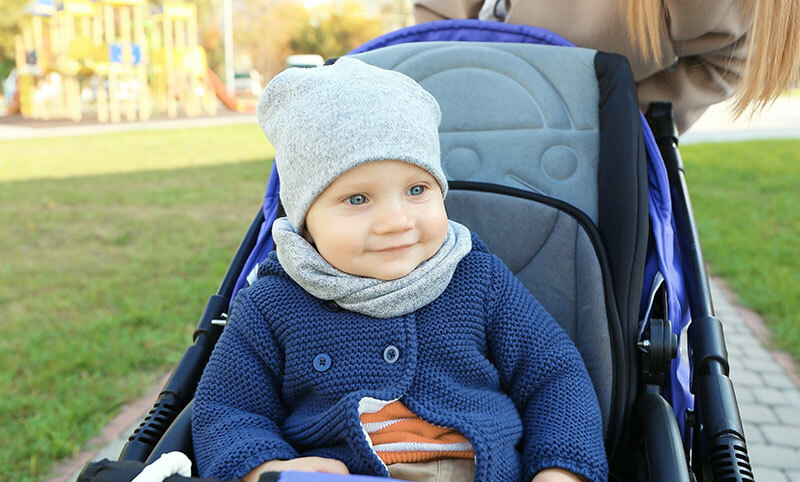 By the time your child is old enough to alternate between riding and walking, you’ll appreciate a stroller portable enough to not require you to require your child to ride. This is when umbrella strollers are worth their weight in gold. Small enough to hang on a hook in the closet, light enough to carry while you hold your child’s hand, these strollers are perfect both for the park and the plane ride. As you stare at the wall of strollers, remember that every situation is different. We all have different budgets, different priorities, and different needs. Once you’ve considered what you’re needing most at this point, it’s a good idea to find a friend in similar circumstances and find out what works for them. Above all, enjoy every minute with your new love. I know you’ve heard it before, but soon you’ll be saying it too: It goes by fast.